I have been training for a marathon, and I have to say that I have gone through several brands and models of barefoot running shoes. I started wearing barefoot style shoes to work about three years ago, but would primarily run 5K's and the average daily 2 mile runs in a more rigid style shoe like a Brooks or New Balance Walking shoe. I decided a couple of months ago to make the switch and go from a rigid style shoe to a barefoot shoe cold turkey ;/ crazy right!!! But I have to say that I have not experienced any foot, ankle, knee, or any other typical runners ache/pain by doing so. In fact I have felt the opposite effect. I am less achy after my long runs while training for my marathon. 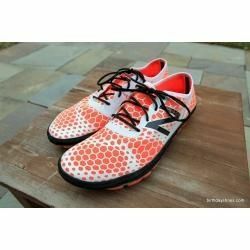 The first model that I used was a New Balance Minimus Hi-Rez. My favorite color is orange and so I picked that one first after trying it on and being a long time new balance runner, I thought it was a safe choice. It cost me around $118, but it is a true minimalist shoe. I would not recommend this one as your first to start with if you are primarily a road runner and used to a more supportive shoe. The shoe itself has a rubber bottom for traction and is made well to reduce any unneeded friction. What I liked the most was the fact that the shoe's bottom is made of many individual rubber nubs that are simply attached together by synthetic fabric in the foot bed, but does not trap rocks between the nubs like the tread of the Nike Free series (More on that later). For me this resulted in the most flexibility I have ever had in a running shoe or minimalist shoe for that matter. Overall I would get this if you are a barefoot runner who likes a little protection from the ground with a lot of flexibility and feeling of truly being barefoot. It should be noted that offers very little cushioning in the heel and mid-foot on pavement. Which, is why I would not recommend this shoe for any runner looking to switch from a traditional shoe to a barefoot style shoe and primarily run on pavement. The second model I was talked into by the shoe guy at my local running store. He highly recommend the Nike Free 3.0 V5 (to my surprise and disappointment). I have always had average results and appreciation after purchasing a $100+ pair of Nike shoes. This was about the same. The guy at the shoe store said this was "by far the best Nike Free model ever made and put to market." I fell for it and bought them. I liked the comfortable feeling and overall fit of the shoe. The shoe itself was made of a mesh material that allowed great breath-ability, but still offered a decent amount of support with a snug fit. The cushioning in the mid-foot and heel was a lot softer then the New balance Minimus, but the bottom of the shoe was the biggest problem for me. While it allows for a more comfortable run, the comfort is traded at the expense of the bottom of the shoe with it's individual rubber and deep pockets, which trapped tons of small pebbles and rocks. 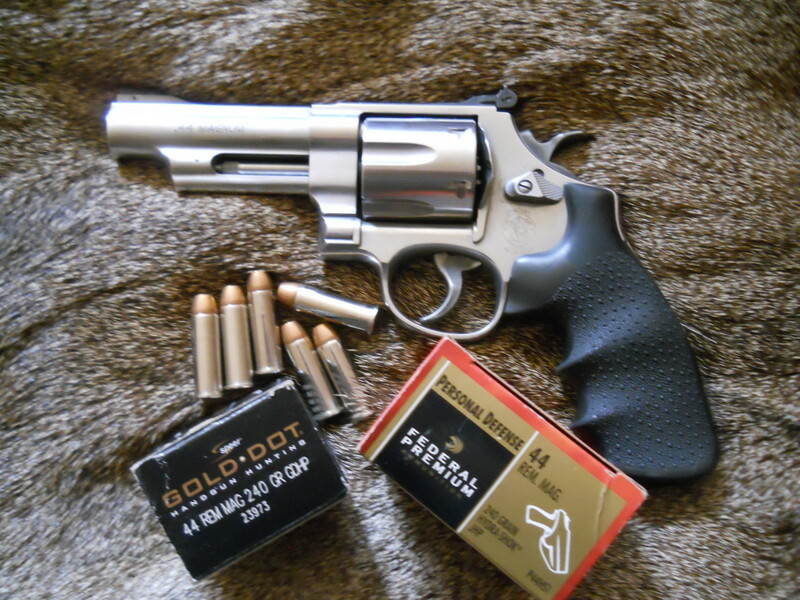 This made me have to stop running and pull them out more often than I would like on longer runs. When you are running 12-16 miles and have to stop 10+ times to remove thing from your shoe it is hard to get into a rhythm and enjoy your run. I would say that the shoe performed lower than my expectations, and the expectations from that of the guy who recommended them to me. The bottom of the shoe wore out less then 170 miles, (:( ) and it developed a weird worn pattern due to the entrapment of rocks and other debris being trapped in the deep pockets of the shoe. Note to Nike, great shoe, but maybe make something that is flexible that wouldn't allow debris on the trail and roads to become entrapped. The last pair of barefoot style shoes (and the pair i am currently still running in) is the Micro G toxic Six by Under Armour. 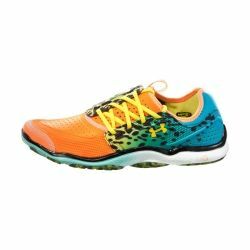 This is the first pair of shoes that I have purchase from Under Armour, and I am wonderfully please with the fit, quality of the shoe, and overall feel I get when running in them. I know that Under Armour is one of the new kids on the block when it comes to shoes, but I would have to say they have stepped up to the challenge and made a good product. 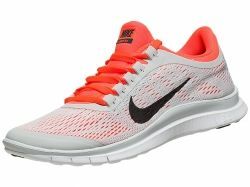 At around $100, they are comparable to the other running shoes I have purchased while training for my marathon. I will admit that they are on the crazier side of the color and appearance spectrum. Not sure if the cheetah like pattern is suppose to inspire speed. All appearances aside, after you get past the appearance and just try them on you will end up feeling a well throughout shoe that is a lightweight trainer that performs well on roads and off-roads. I have a wider foot and the shoe fit me well in the toe box, but was a little snug around the top of the shoe due to the elastic style top. Even The shoe laces have had a lot of thought placed into them for both design and fit. They have an offset style that are unique, but serve to hold and support the foot inside the shoe snugly. 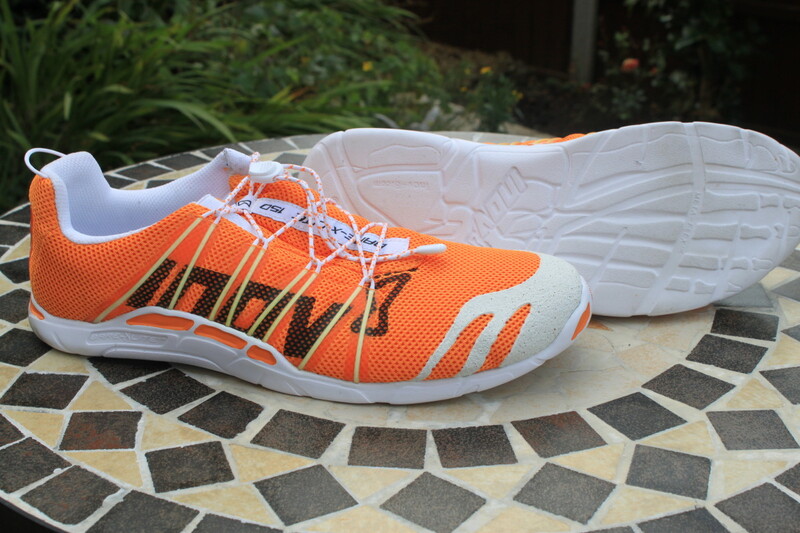 I would definitely recommend this shoe to anyone looking for a light shoe for faster runs and as a race day flat. 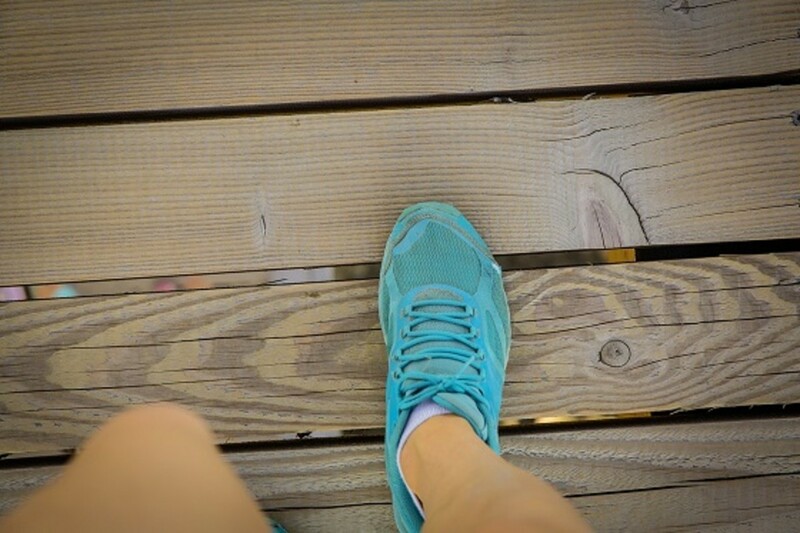 The exercise in this will video helped me to get rid of my knee pain and medial shin splints. It is called a nerve floss. Specifically it address entrapments to the Saphenous Nerve, which is commonly mimics medial shin splints and medial knee pain that is more muscle related. 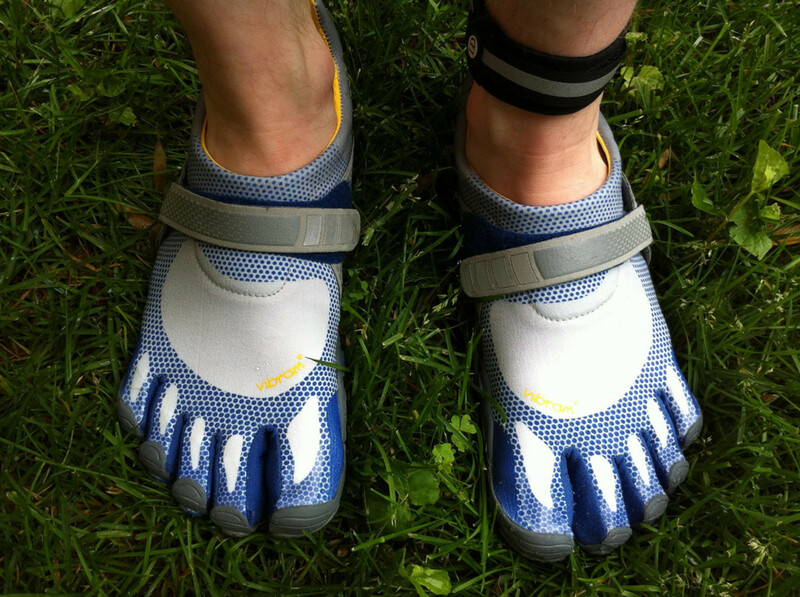 Do Barefoot Running Shoes Work?